My first country in South America is Brazil and my first city in Fortaleza - a place many first time goers to Brazil will head to, but I did. In the beginning, I've thought of moving here for my next home base for three months, however, I've decided to move to Colombia instead. I've already booked the flight, so, I said, why not stay and explore Fortaleza for two weeks. For one reason I stayed for a month. Despite its bad image for its crime rate, Fortaleza receives a pretty good amount of tourists and backpackers from Europe and North America. If you are flying from Germany or Portugal, there are direct flights for affordable prices. Check this site I always use to book and find cheap flights to everywhere in the world. 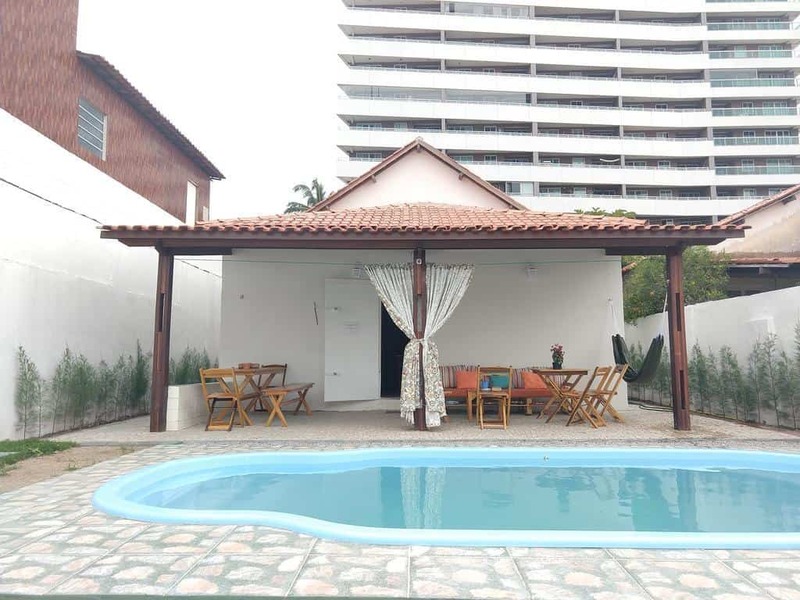 In this article, you will find the hostels in Fortaleza I highly recommend, three of them that I personally stayed while the others are based on my reliable research and visits to the hostel itself. If you are heading to other party of Brazil, you may want to check out this Rio De Janeiro tourist attractions that you should not miss. Note: All prices are in US Dollars, prices may change without prior notice. TIP: Use the table of contents to navigate faster. Before you book the hostel you want to stay, check out these things that you should look into beforehand. Fortaleza is a big city, the tourist area is not so much. To make sure that you will have a great time and a comfortable sleep, ask yourself these questions or tick these four things on your list. Fortaleza is a beach town which means, you want the hostel to be close to the best as much as possible. If you are only staying in this city while waiting for another flight, you might want to look into accommodations close to the airport instead. The hostel should also not be too far from grocery or convenience store or ATM or bars and restaurants. It should also be easily accessible by public transportation. The location of the hostel is an important thing to consider. What kind of hostel do you prefer? A party hostel, chill vibe hostel, or a hostel that feels like it's a homestay? These are the types you can look for and can be found in Fortaleza. If you want to meet foreign travellers, you have to carefully look for a hostel that had many foreign travellers before. If you want a hostel where you can meet locals, there is one for that too. Even for me, reviews are very necessary. I rely on what travellers who have stayed in this hostel experiences and what they have to say. Reviews also help you understand what type of hostel it is or if its exactly what you are looking for. Many travellers just go for the cheapest one which is no problem of course, but many travellers also complain a lot about the place. 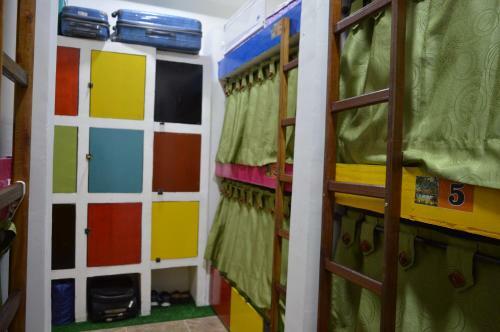 A hostel is probably affordable for a reason. Check reviews both on Hostelworld and booking.com, sometimes, I also check reviews on Google Maps and Facebook pages. I'd rather be sure than have an awful holiday or trip. Price is very important in every traveller. Not only because it can affect their budget but also because a cheap hostel might lead to problems while an expensive one might not meet all your needs. On my early days of travelling, I was living on a budget. I stayed in very cheap hostels which I couldn't complain even if there is no toilet paper in the bathroom or the breakfast is basically a bread of the bed is hard as a floor. It's simply you get what you pay for. 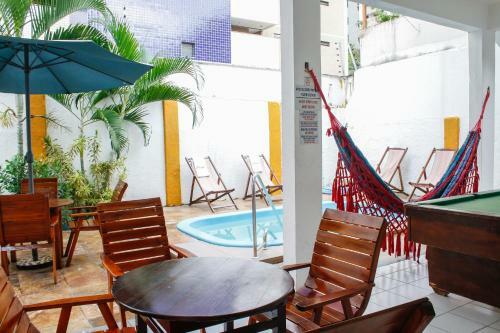 Check out each hostel in Fortaleza below and see what are their best feature and find out their cons. I wrote a small description and I added how many reviews they have, their ratings, prices, distance from the beach, and type of hostel for you to decide which one is the best. The total number of reviews are combined from Booking.com and Hostelworld while the ratings are added from these two platforms as well; B+H= X out of 20.0. All hostels are equipped with a functioning kitchen for guests to use. It is often that hot shower is not available in the hostels in Fortaleza. I personally stayed in Albergaria Hostel for 7 nights. I really like my stay, the dorm room beds are one of the best beds I've slept on in a hostel. Their common area is tidy and cleaned every day, they also let the air conditioner in the room run all day and night. Defining its name it means "a safe place to take refuge". 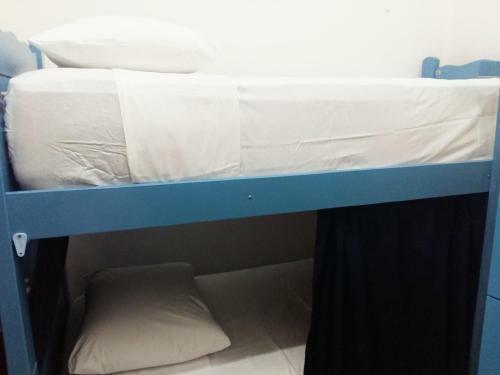 This hostel is loved for its buffet breakfast, affordable price, comfortable bed, the option between fan dorm room or air-conditioned room, and English speaking staffs. There are lockers available to use in the common area. I've stayed in Iracema Hostel for six nights which I enjoyed. It is a family run hostel which gave me the impression that it was more like a homestay than a hostel. The sweet Brazilian family who manages it lives next door, despite the barrier language, I had a pleasant stay and will recommend it to those who prefer to meet locals. However, make sure that you don't mind a non-English speaking hostel unless of course, you can speak or understand Portuguese. This hostel is 900 m from the beach, a cosy hostel designed with hammocks. The rooms and common areas are well-cleaned throughout the day. All dorm rooms have air conditioner while there are plenty of stores around the area to shop. The lockers are inside the room. If you are looking for a party hostel, Full Sail is just for you. They have an on-site bar that sells drinks and beers and plays music. They also give away free caipirinhas (a famous Brazilian cocktail), hold drinking games, and sometimes take their guest out for a pub crawl. They are 1 km from the beach and only a few minutes away from places to eat and markets to shop. Good Hostel & Bar is the newest hostel in Fortaleza which opened at the end of July 2018. What I love about new hostels is how clean everything is and how comfortable the beds. More than these qualities, this hostel is loved for their impeccable service and great location. They also have a swimming pool! Aloha Hostel is the most affordable hostel in Fortaleza. It is also well located and all rooms are equipped with air conditioner - there is no better deal that you can find the city. On Booking.com, it states that a buffet breakfast is included, however, on Hostelworld, it says that breakfast is included. Make sure to ask about this before booking your room or bed. I really hope that you found this article about best hostels in Fortaleza, Brazil useful. If you have any questions, let me know in the comment section below.